← Gluten-us Maximus: Does Gluten Affect Mental Health? 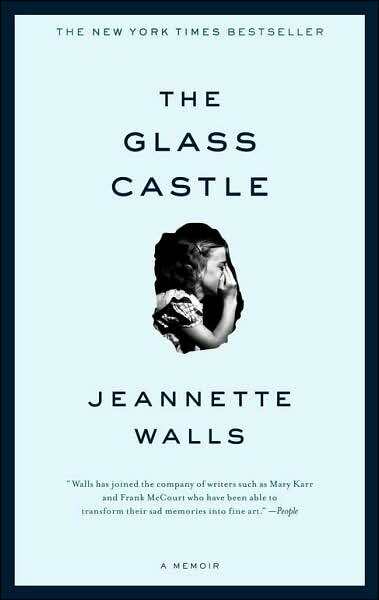 This entry was posted in Books, Experts, Family, Home, Social and tagged adults, book, creativity, emotions, glass castle, jeannette walls, memoir, mental health, new york times bestseller, parenting, reading, the glass castle, trauma. Bookmark the permalink. It has been a few years since I read it, but it is one of my favorites. It certainly puts things into perspective. it def puts things into perspective.. any time you feel like you had a hard childhood or if teen kids felt they had it bad.. just a few moments of this narrative or a glimpse into how many children all over the world live lets you see how good we all did and do have it! I haven’t read the prequel to this book yet.. broken horses??? MamaCravings: Definitely one of my favourites. It’s right up there with, “We Need to Talk About Kevin” as a “never to be forgotten” memoir/novel. Rebekah: I haven’t read the prequel either but I agree that the bizarre and dangerous situations that some children survive is absolutely staggering.